← And so it begins. Has Vine become the “in” thing? Track that App! Native Event Tracking is a must. If you’ve got an app in the App Store or with Google Play, you’re probably fixated with how your app is performing. You probably get some sort of report, letting you know how many downloads or purchases of your respective app occurred over some pre-defined period. And this report represents a measure of your apps success. There are all kinds of tools out there that help you track the performance of your mobile app. There are basic tools, which tell you how many times your app has been downloaded (which you can typically get from the respective app stores). And others which tell you about conversions, time on app, entry and exit points. But these tools offer only the most basic insight into the success (or lack thereof) of your app. More sophisticated tools let you capture details about usage and engagement. If you want to dig a little deeper beneath the surface, you can track native events – the specific taps, swipes and scrolls that define mobile application usage. In my humble opinion, native event tracking is the sweet spot when it comes to apps. What exactly users are doing with my app. If your app is a basic wrapper app or a launcher, with a simple native entry point sitting atop a complete mobile web experience, then read no further. But if you’ve got a truly native application, which takes full advantage of the device’s API, then you’re going to want to know much more than you’re getting from a download report. If you’re really interested in understanding precisely what users are doing with your app, after they’ve downloaded and installed it – beyond open, close and time spent – then read on. If you’ve spent the kind of time that I have with apps, app developers and clients, you know that metrics are supremely important. No reputable company would launch a website without ensuring that their Google Analytics dashboard was popping (or some other form of online data tracking). But what about your mobile apps? Are you paying attention to the events taking place on the device itself, beyond the mobile web entry and endpoints that may be accessed by the app? Apps provide a deeper level of engagement than a standard mobile website. So being able to leverage the native features and functions of a mobile device, thereby driving deeper levels of engagement, means that you can capture vitally rich information from each and every user. Tracking usage patterns of the mobile apps you develop can aid your brand determine where to add (or withdraw) development resources to maximize user engagement. And that’s where native event tracking come in. As the name explains, ‘native event tracking’ refers to the tracking (=recording, capture and storage) of the native (=occurring on the mobile device) events (=interactions with the app). And while Google is the top of the food chain when it comes to online analytics, there are a couple of other players in the native event tracking space. For example, there’s Flurry, which provides SDKs for mobile application developers interested in tracking usage patterns. There’s AppClix from Mobile Visions, which has a comprehensive dashboard that integrates easily with other analytics providers, like Flurry, Pinch Media or Localytics. Omniture by Adobe, which is perhaps one of the more recognizable names in the game, also offers mobile application developers with native tracking tools. Their native SDKs allow you to measure applications across a host of mobile platforms, including iOS, Android, PhoneGap, Windows 8, Symbian and Blackberry. And there’s also Tracker, whose API allows you to implement usage tracking and analytics in mobile applications. There are a host more, of both the paid and open source variety, which can all adequately track mobile application usage to a greater or lesser degree. But for me, one stands out above the rest. And it’s (one again) Google. Having recently worked on a project utilizing Google’s Analytics for Mobile Apps SDK, I can say that it’s the most robust and comprehensive native events tracking application I’ve worked with. The great thing about it, is that it’s totally customizable. 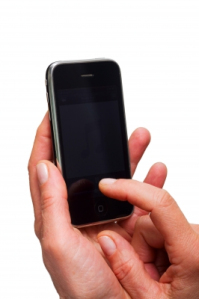 Does your app allow users to swipe, pinch, tap, scroll, press, shake, toggle? Then you can track it all with Google. Using a very basic methodology: _trackEvent (category, action, opt_label, opt_value, opt_noninteraction) you’re able to generate supremely in-depth user engagement data from mobile applications. The best thing about using Google’s event tracking protocols is that it’s FREE! In addition, if you’re already using Google for your web analytics, the dashboard and reports are virtually the same. Now, to each, his or her respective own. Having worked with GA for a minute, it’s my SDK of choice. But if you’re working with an app developer, one question to ask is how they intend (or what mechanism they intend to use) to track native events. And if you’re developing apps on your own, do not neglect native event tracking. There’s no better way to learn about (and leverage) your users’ behavior. Now get out there and track those apps! consists of remarkable and really fine information in favor of readers. read more, Pleaswe do keep up the fantastic job.